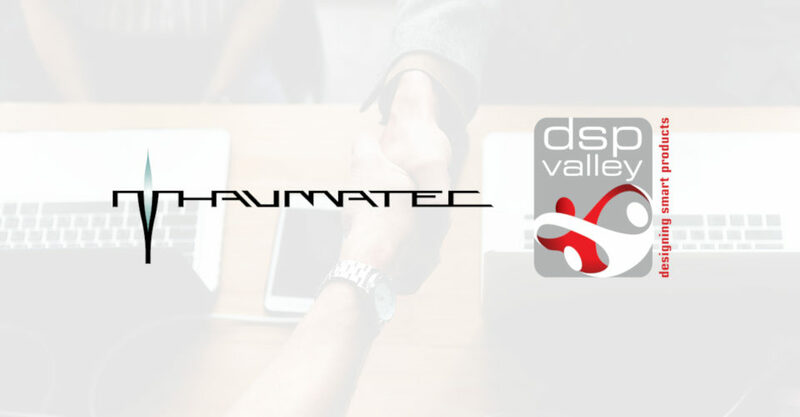 Thaumatec is joining the DSP Valley - a embedded solutions cluster! A wide network of contacts is one of the most crucial points in our strategy. Working with partners gives us the access to knowledge and experience – we love to share what we know as well as learn from the others. That’s why we decided to join one of the most respected European cluster on the embedded market – DSP Valley. DSP Valley groups more than one hundred members working in the area of smart electronic systems and embedded technologies. Being a part of the group equals having the access to networking platform, knowledge, and experience. DSP Valley really pays attention to its members and supports their innovations. The cluster was created in 1996 and from this time on it has engaged in many activities which resulted in having global respect. Thanks to that DSP Valley is now one of the most valuable societies in the industry. The headquarter is in Leuven, Belgium with a branch office in Eindhoven, the Netherlands. DSP Valley unites universities, research institutes and all range of the companies – from growing startups to global corporations. Thaumatec is a perfect example of how a partnership between universities and private companies can create great outcome – cooperation with Wroclaw University of Science and Technology was an excellent proof of our growth. As a member of DSP Valley, we will be a part of their B2B forums, matchmaking events, international shows, and technical seminars. We also will get support from members in marketing, communications, and HR matters. Being a member of DSP Valley gives us the opportunity to cooperate with similar networks and clusters in the semiconductor and embedded systems field all over Europe like System@tic, BICC-Net, Silicon Saxony, Electronics KTN. We are very grateful that we have a chance to be a part of this outstanding organization. It’s a great confirmation of our position in the market and also proves that Thaumatec is a valuable partner. We will make sure to add a considerable value to all activities of DSP Valley. Thaumatec is a Gold Sponsor of Team Projects Conference ...again! 0 comments on We are happy to announce that we are joining DSP Valley!